Last week, more or less by accident, I attended back-to-back screenings of India’s top box office film, Kabali (India 2016) and Hollywood’s latest revamp of the Bourne franchise, simply titled Jason Bourne (US 2016). I’d wanted to see Kabali but Jason Bourne was an ‘impulse watch’, mainly on the grounds that Alicia Vikander and Vincent Cassel are two of my favourite stars. I’d seen two of the previous Bourne films and three recent Rajnikanth spectaculars. The result of this current contest between the action champions of the US and India was, for this viewer, an away win for Superstar Rajni. Let me deal with Jason Bourne first. The return of Matt Damon and Paul Greengrass, this time with his regular cinematographer Barry Ackroyd (who first came to international attention as Ken Loach’s cinematographer), gave hope to fans of an action film par excellence. Vikander’s casting and that of Cassel matched earlier European casting choices. They were joined by Riz Ahmed in a Steve Jobs type role and the whole package had a very European flavour for a Hollywood blockbuster. Unfortunately, the script was left to Greengrass and his editor Christopher Rouse and they proved to not be up to the job. In truth, Jason Bourne is four separate action sequences somewhat loosely tied together by the familiar plotline of Damon’s character Bourne trying to find out what his own father did that started this whole chase scenario in which he is pursued by corrupt CIA officials. The novelty is that this time he might expedite a further release of Edward Snowden type secret materials – and in doing so create further problems for the CIA in its link to the surveillance potential of the Riz Ahmed’s character’s new software developments. In the first major action sequence, Bourne is on the streets of Athens during anti-austerity riots. He’s meeting his ex-CIA ‘insider’ partner played by Julia Stiles. Bourne is in ‘drab’ but she has long flowing blonde hair – easily visible to the satellite cameras of the CIA back in Washington where Tommy Lee Jones and Alicia Vikander can track the couple’s every move and release ‘The Asset’ – the assassin played by Vincent Cassel. We never learn what the Greek riot was about (are audiences expected to know the details of Greece’s economic and political problems? ), but various Greek bystanders are killed in the mayhem and the action moves to Berlin where Bourne and his local contact make similarly stupid mistakes. After that it is London and then finally Las Vegas. In each case, the main confrontation is between Cassel and Damon with the CIA mission being compromised by Vikander’s realisation that something may be amiss in what they are doing – or perhaps she has her own ulterior motives? The action is indeed spectacular but by the fourth sequence it starts to get boring, though I perked up and genuinely laughed when a Police SWAT vehicle crashes into a Las Vegas temple to the fruit machine. In technical terms, the film is very efficiently made, but the script is full of holes. Bourne has no personality and I wanted the Cassel character, who unfortunately has no redeeming features, to end up with Vikander. Perhaps the oddest aspect of Jason Bourne is the BBFC entry on the film which shows a 12A Certificate and suggests that there is ‘moderate violence’. So, children can’t be harmed by multiple deaths by sniper bullets or beatings in which people are repeatedly hit to a sickening soundtrack. But there are no sexual encounters or drugs so children won’t be affected. The hypocrisy is staggering. Kabali is, by comparison a lot less slick and at times quite slowly-paced, but it wins because of warmth and wit, because it is actually ‘about’ something and because it has Rajnikanth, genuinely a superstar, mainly in South India, but also in parts of the world with a Tamil diaspora and other surprising places such as Japan. Rajnikanth is now billed as ‘Superstar’ in his film’s credits. Now 66 he has appeared in some 200 films since 1975. His superstar status depends on his affinity with the ‘common man’ in the crowd (I’m not sure about his appeal to the ‘common woman’). Whatever trouble he is in, Rajni’s character will emerge and live to fight another day, mainly because of his lightning reflexes. Kabali reminded me of one of Rajni’s earlier successes as a gang leader in Mani Ratnam’s Thalapathi (India 1991). In the new film we meet Rajni as a man who has served 25 years in a Malaysian prison for a crime he feels he was not responsible for – and which was associated with the death of his pregnant wife. He is met at the prison gates by followers who have been waiting patiently for him – and building a school in his honour to train young Tamils in Malaysia who have ‘failed’ or lacked opportunities. But Rajni (Kabali) is a gang leader, albeit one with principles and political ambitions. Flashbacks reveal how he began as the leader of Tamil workers on rubber plantations in Malaysia, striking for better conditions. His enemies are other Tamil gangsters who resent his leadership and reject his political aims and Chinese gangsters led by Peter Lee (Taiwanese actor Winston Chao). In some ways Kabali is a melodrama. Kabali is ruthless when he first emerges from prison, immediately taking down some of his Tamil enemies. But he is soon distracted by memories of his wife and begins to follow up clues to what really happened 25 years ago. Flashbacks take us into a family melodrama in which we learn of miraculous recoveries. Kabali still has a wife, but he will need to travel to the ex-French colony of Pondicherry to find her. He also has a daughter who emerges in true melodrama fashion – and he has surrogate sons from the school founded in his honour. But all this family business means that Kabali’s enemies have time to organise and the film’s finale will prove whether Kabali can still be a boss in Kuala Lumpur – which offers a cityscape of tall buildings to match any American setting. As one Hindi/Bollywood critic writes, this is indeed a ‘Southern pot-boiler’ but the emotion got to me. Rajni himself remains eminently watchable. He is now playing close to his age and the wig works very well – he looks cool and stylish as a don in his sixties. He dominates the frame and speaks commandingly and he can still use a gun and make his moves. Kabali is directed by Pa. Rajnith, one of the younger feted directors of Tamil cinema. Having not seen his first two films, I’m not sure how Kabali stands up to them. He seems to do an OK job and it’s good that Superstar Rajni can work with the new generation. But surely he can’t go on playing the same kinds of roles much longer? He can certainly act and it would be good to see him take on something new – perhaps something with less action and more politics. But I doubt his enormous fanbase would agree. 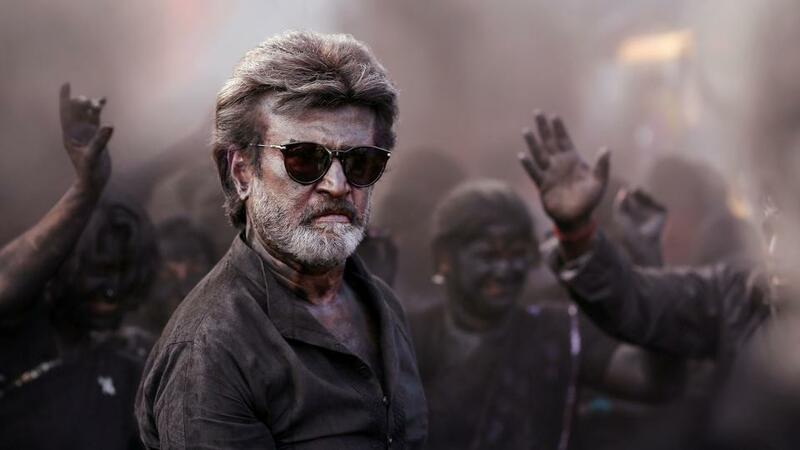 One thing you can say about Rajni and Kabali is that apart from the Godfather references that helped to build Superstar Rajni’s persona, Hollywood has so far not produced anything to compete with him directly. Even watching this classic Mani Ratnam film on a terrible DVD with a degraded image and Hindi dubbing couldn’t diminish its power. Thalapathi represents the ultimate in Tamil Cinema during the early 1990s. Director Mani Ratnam, composer Illayaraja and cinematographer Santosh Sivan combine to present the superstars of Tamil and Malayalam Cinema, Rajnikanth and Mammootty in an epic gangster melodrama. The outline narrative is based on the Indian epic narrative the Mahābhārata. I can’t pretend to be able to explain how the connection is made, but it is mentioned by several commentators. The film’s plot sees a teenage mother abandon her newborn baby during the Holi festival. The baby is later found by children and eventually brought up by a woman in a poor community. Twenty-five years later, the abandoned baby is now a man, a child of the community and fast becoming its protector and moral conscience. This is Suraj/Surya (Rajnikanth). In defending a woman, Surya beats up man who eventually dies from his injuries. The dead man worked for the local crime lord Devaraj (Mammootty), who recognising his qualities recruits Surya. The two soon become very close, saving each other’s lives at various points and gaining control in a community who fear the (corrupt) police and the threat of rival gangs. Devaraj and Surya are criminal and violent in retribution but they support the members of the local community. 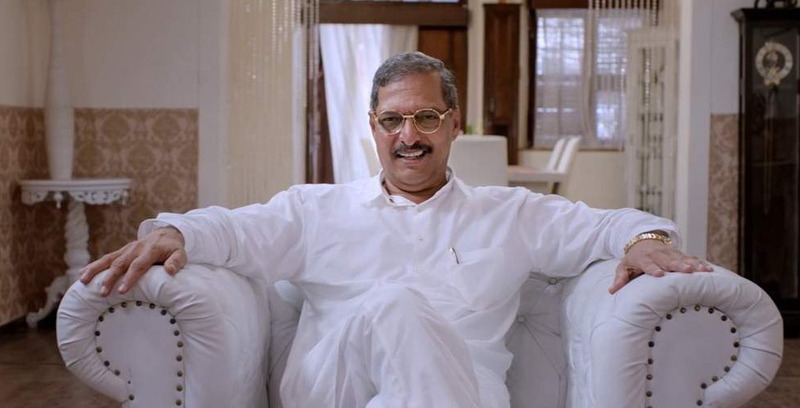 Surya becomes the man to go to for help – the ‘Thalapathi’ of the community. The high melodrama is played out in terms of music, compositions, colours and highly choreographed dance and fight sequences. I confess that in the first half of the film, I found Surya’s excessive violence to be deeply disturbing. It occurred to me that the character was rather like Clint Eastwood’s Dirty Harry – a fascist cop who was morally right but prepared to break every law and to punish the bad guys. I still thought this in part two but as the melodrama intensified, it did become more understandable if not more acceptable. The real value of the film for me was simply to see Rajnikanth in action. This is his only Mani Ratnam film which seems a surprise. I can see why he is a superstar. He exudes charisma despite lacking the pale features, aristocratic face and toned body of so many Bollywood male leads and in this film sporting a mane of seemingly back-combed hair. Like the beefy moustachioed Mammootty, he could only be a superstar in the South. There is something warm and vulnerable about him. He cries and comforts small children quite naturally – and a moment later beats opponents to a pulp without blinking. I’m wondering now whether I can bring myself to watch Mani Ratnam’s earlier Nayakan, another gangster epic starring the other Tamil superstar, Kamal Hassan. Like Thalapathi, this sees a working-class boy take on rival gangsters and the police in another massively successful film. But the DVD that I rented looks unwatchable, so perhaps I’ll look for a better copy. The Top 10 films in the UK for the weekend of June 16/17 included two Indian films. At No 6 the Hindi film Jhoom Barabar Jhoom registered a screen average of over £5,000 from 47 screens. There is nothing unusual about this as Hindi films regularly feature in the Top 10. However, at No 9 Sivaji represents what I think is the first Tamil (i.e. ‘made in Chennai’) film to register. Not only is it in the Top 10, but from only 12 screens with a screen average of over £14,000 it was easily the best earner of the weekend, beating all the Hollywood blockbusters. I rate this the most surprising result I’ve seen in many years of logging the chart. Sivaji stars the veteran (57 year-old) superstar Rajnikanth in a story about a software engineer who returns from America to attempt to set up a hospital for the poor. IMDB lists the film as being partly shot in all four South Indian languages: Tamil, Kannada, Telegu and Malayalam. Distributor Ayngaran is the only outlet for South Indian movies in the UK and it must be delighted by its success, which as far as I can see is based on screenings in Cineworld cinemas in London. 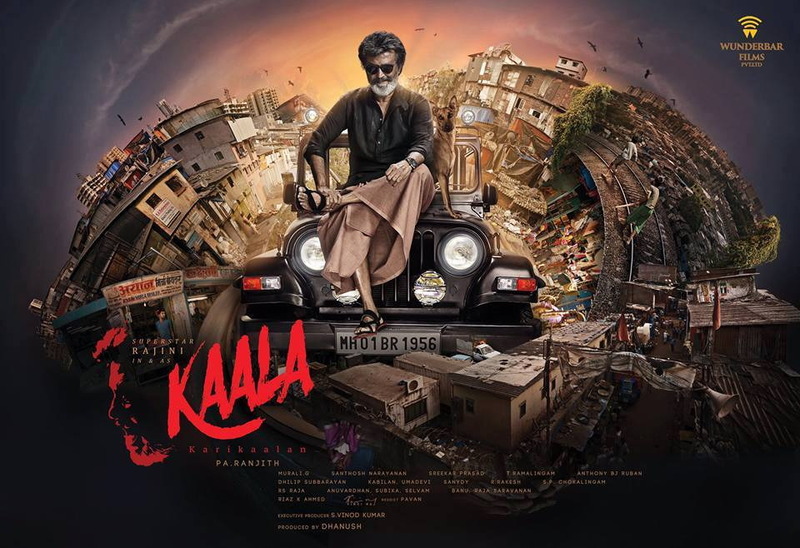 I confess that the movie sounds like it will not necessarily be attractive to UK audiences not steeped in South Indian culture and it is possibly not subtitled. Nevertheless, this is a breakthrough in revealing to UK film pundits that actually South India produces more films and sometimes has bigger audiences than the Hindi film industry based in Mumbai (i.e. ‘Bollywood’). Sivaji opened in 15 territories worldwide and the diaspora audiences in Malaysia and elsewhere propelled to number 15 in Screen International‘s worldwide chart.